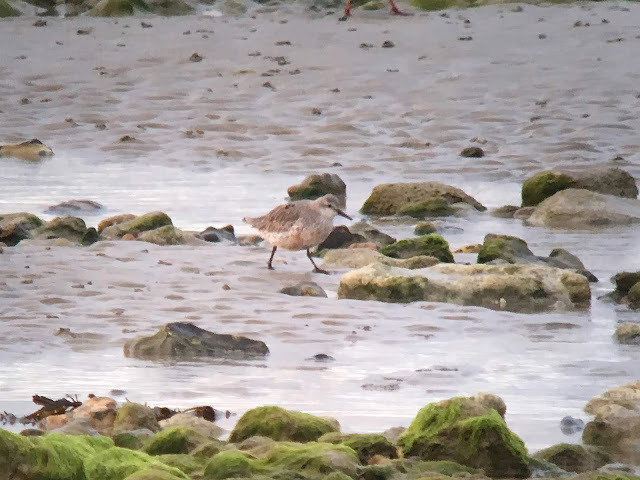 An adult Knot on the beach was a nice surprise at the Gap this morning, and further inspired hope of a 'different' wader pitching up here, in the wake of the other day's Barwit. Other waders today included 72 Ringed Plovers (about a dozen of which were tundrae types), a Redshank, 57 Turnstones, 14 Oystercatchers, a Dunlin and 14 Sanderlings (two juveniles). A Shelduck floated around offshore. 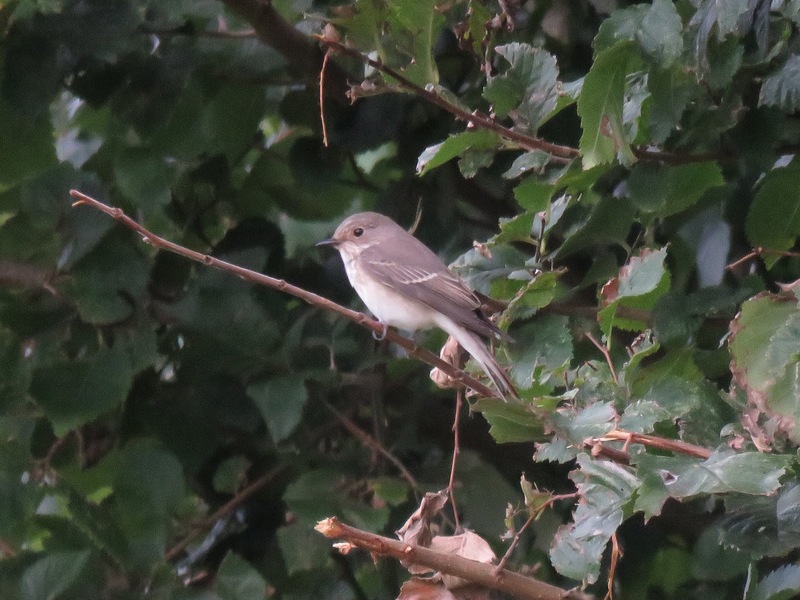 Grounded migrants included my first Gap Reed Bunting, singles of Spotted Flycatcher, Garden Warbler and Lesser Whitethroat, seven Wheatears and three Blackcaps. Chiffchaff movement had evidently picked up, with 17 grounded birds scattered around the site. 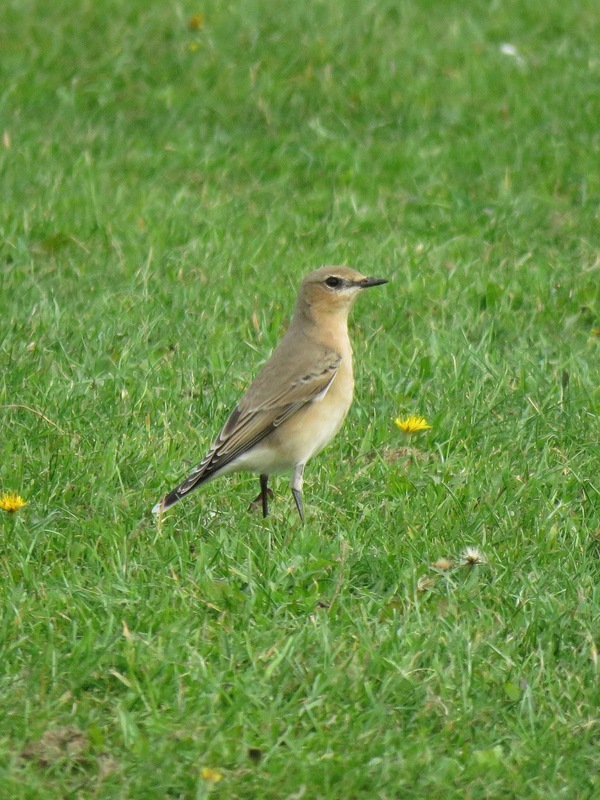 Movement overhead included a Tree Pipit, 11 Grey Wagtails, 35 Yellow Wagtails, six Pied Wagtails, 91 Meadow Pipits, 84 Swallows and four House Martins. A Song Thrush was the first I'd seen in a while, a Goldcrest was in the Plantation and two Sparrowhawks - male and female - were seen together. Four Sandwich Terns joined the high tide roost. Mediterranean Gull and Common Gull both numbered six. Two Gannets and 19 Cormorants were offshore. Along Ferring Rife I enjoyed watching a group of Magpies play chase with a juvenile male Sparrowhawk. A Willow Warbler was present, along with seven Chiffchaffs and a Blackcap. Five Meadow Pipits flew over and a Grey Wagtail was feeding. 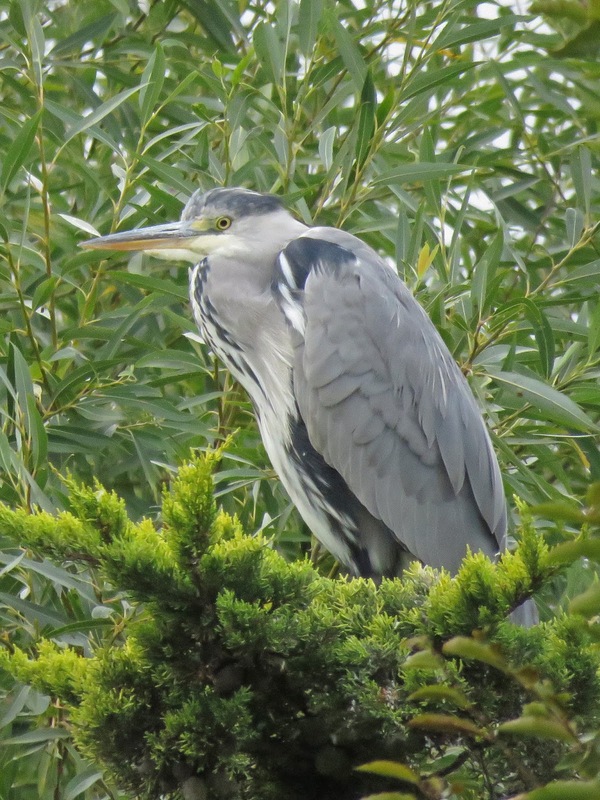 A Linnet and a Grey Heron were among other birds noted. An hour-long seawatch from George V Avenue late afternoon produced two Sand Martins and three Swallows moving offshore, but otherwise just nine Gannets, a Sandwich Tern and three Mediterranean Gulls (which may have been some of those from earlier).